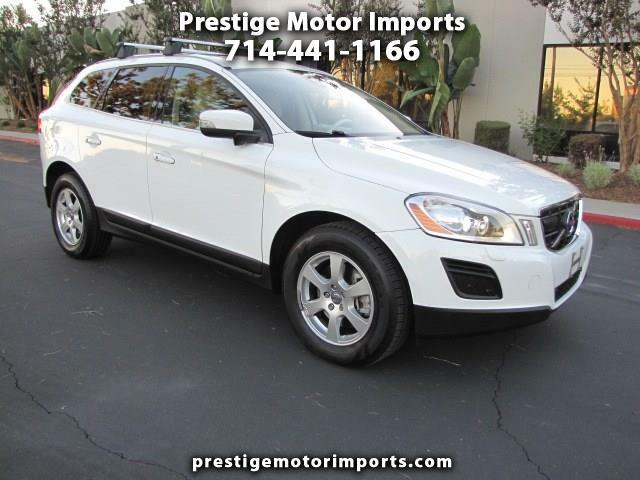 This One Owner Platinum package Volvo XC60 has it all. With White on Tan Leather interior you can enjoy multiple options such as Panoramic Sliding Moon Roof, Bluetooth and AUX on a Premium Sound System with Navigation and Back up Camera as well as Parking alert sensors, BLIS (Blind Spot Information System), Adaptive Cruise Control, Heated seats, Roof Rack and many many more. This fully loaded XC60 has never been in any accident and it comes with a clean Car Fax history Report. It is very clean both inside and out and it runs and drives Great. Please call us to schedule an appointment to see and test drive this low priced beautiful compact SUV. Thanks. Message: Thought you might be interested in this 2012 Volvo XC60.